The wood as shown in the diagram is newly sawed out Longan. Just at a glance, you should be able to tell what is wrong with it. 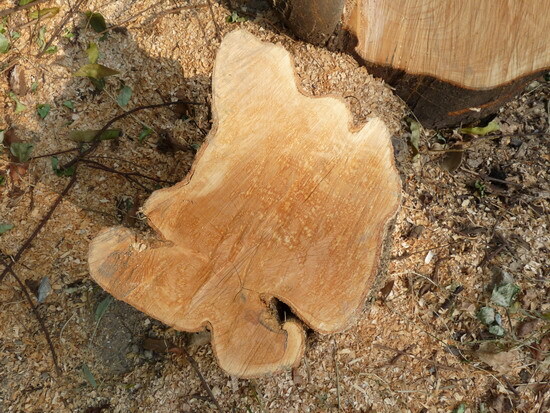 It is often said that the age of trees can be determined by the number of growth rings. Then, how old is this Longan tree? Are you able to tell? In fact, the vessel distribution of trees can be categorized into two: diffuse porous and ring porous . Longan is the former, so the growth rings are not obvious. When you read the reference books again, you will find that the general theory of determining the age of tree by the number of growth rings only applies to most trees, NOT all!